It is an industry secret that Sherwood is the actual manufacturer of nearly one-third of the world's high performance receivers. Many of the products we build are available with brand names which may be better known than our own. But none are built with the same sense of pride as those that bear our own name, nor are any better built or better engineered than those that bear our Sherwood badge. In our modern, surround sound driven audio universe where home theater enthusiasts hear airplanes flying overhead and bombs exploding around them, one might think that a mere Stereo is old fashioned. But don't be mislead — humans have only two ears and stereo is still a significant life form. Our case in point: the new RX-4105. It's actually an update of our market leading RX-4100/4103. rated at 100 watts, we've reduced distortion significantly. It's now less than 0.20% from 20 Hz to 20 kHz and we've improved the reliability with a new layout borrowed from our higher end models. The RX-4103 has a good AM/FM tuner with the ability to pre-set up to 30 favorite stations. It has inputs for 4 audio sources to accommodate your sound gear. And the sound is phenomenal — as you'd expect from a company that dates its own existence to before stereo's birth. And the RX-4103 has at least one unexpected grace: the ability to independently select up to two sets of loudspeakers via the supplied remote control. (Audio purists will be pleased to know that this relay-controlled switching puts the speakers in parallel, maintaining their individual. In our modern, surround sound driven audio universe where home theater enthusiasts hear airplanes fly overhead and bombs exploding around them, one might think that mere Stereo is old fashioned. But don't be mislead — humans have only two ears and stereo is still a significant life form. Our case in point: the new RX-4105. It's actually an update of our market leading RX-4100/4103. rated at 100 watts, we've reduced distortion significantly. It's now less than 0.20% from 20 Hz to 20 kHz and we've improved the reliability with a new layout borrowed from our higher end models. 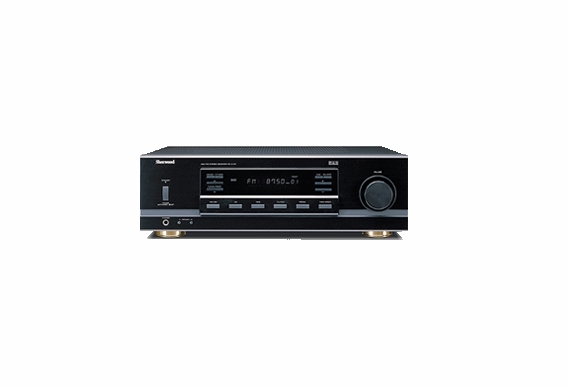 The RX-4105 has a good AM/FM tuner with the ability to pre-set up to 30 favorite stations. It has inputs for 4 audio sources to accommodate your sound gear. And the sound is phenomenal — as you'd expect from a company that dates its own existence to before stereo's birth. Can I hook up an Ipod or my Android Phone to the input jacks for this unit? I'd like to use it to stream Pandora. Also, I would like to install it in an exterior shop that does not have heating or cooling. Not outside, but will be subject to temp swings from 20s to over 110 in the summer. Would this unit work for me? 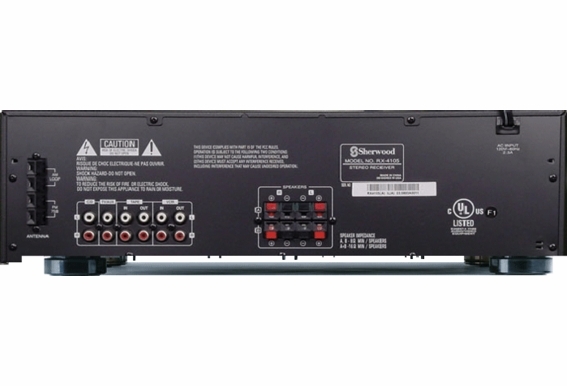 Hi, i just got this receiver works fine with a pair of iw810 but is it possible to connect a sub woofer to this receiver? Thanks. Is this receiver designed to be outdoors? It will be in a weather proof cabinet but it will experience high humidity and temperatures. Would this be a good receiver for a pair of outdoor speakers? I need a slim line receiver. what is the total height of this recevier? Can this receiver play two sets of 8 ohm speakers at the same time? I understand that the speaker sets in this receiver are in parallel. If this is so, the 4 speakers would draw 2 ohms when all playing at the same time. This is an 8 ohm receiver. Can I use this receiver with a speaker selector? So I would be sending, for example, only the left side of one channel out to the input of a 6-zone speaker selector. Then connecting only one speaker to each left-side on each zone on the speaker selector? Im looking for multiroom audio however in my application I am not using a pair (left/right) of speakers per room, rahter I am using only one speaker in each room. is this receiver good fpr a simple 4 speaker set up? can I wire all 4 speakers up seperately?